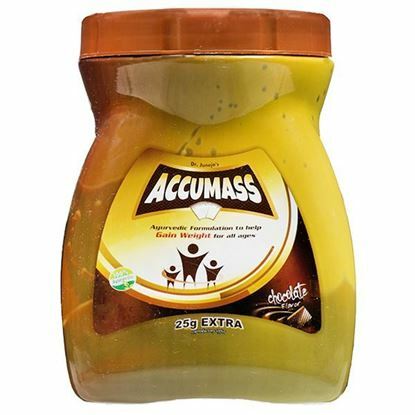 Accumass Granules are the blend of Ashawgandha, Shatawari, Kadali, Vatad, Kharjura, Amalaki , Gokshura, Draksha, Vidari, Varahi, Pipli, Maricha, Shunti, Ela, Jeeraka, Mushli, Sarala. Each and every active constituent is well known its tremendous results. 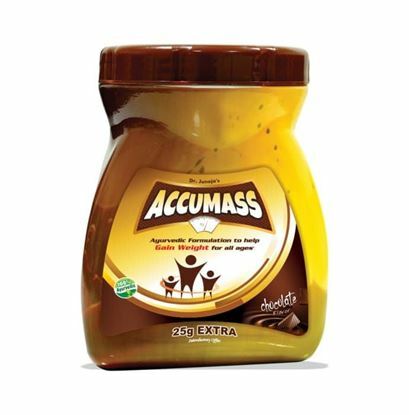 Accumass granules help to increase the anabolic (ability to promote the growth of lean body mass) rate in the body. Accumass granules help to relieve from metabolic disorder and increase the absorption of the essential nutrients in the body. In this way, Accumass Granules help to fulfill the demand of nutrients to the body.